If there was any doubt which product Microsoft was gunning for, the spec sheet makes it abundantly clear. Microsoft wasn’t shy about comparing its new Surface Book laptop to Apple’s MacBook Pro on Tuesday, and for good reason. A look at each device’s tech specs reveal plenty of similarities, including price points, screen size, battery life, and storage. 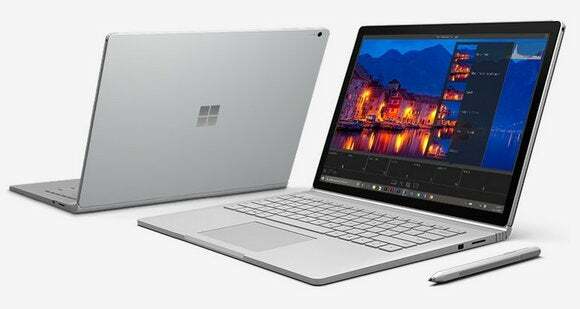 It’s almost as if Microsoft designed the Surface Book to match the speeds and feeds of Apple’s pro-grade laptops—and then go just a bit further with a detachable touch screen and stylus support. Still, Apple has the upper hand in some areas, including maximum storage and display options. The base MacBook Pro is also a few hundred dollars cheaper than the low-end Surface Book, which could lure some businesses on a budget. 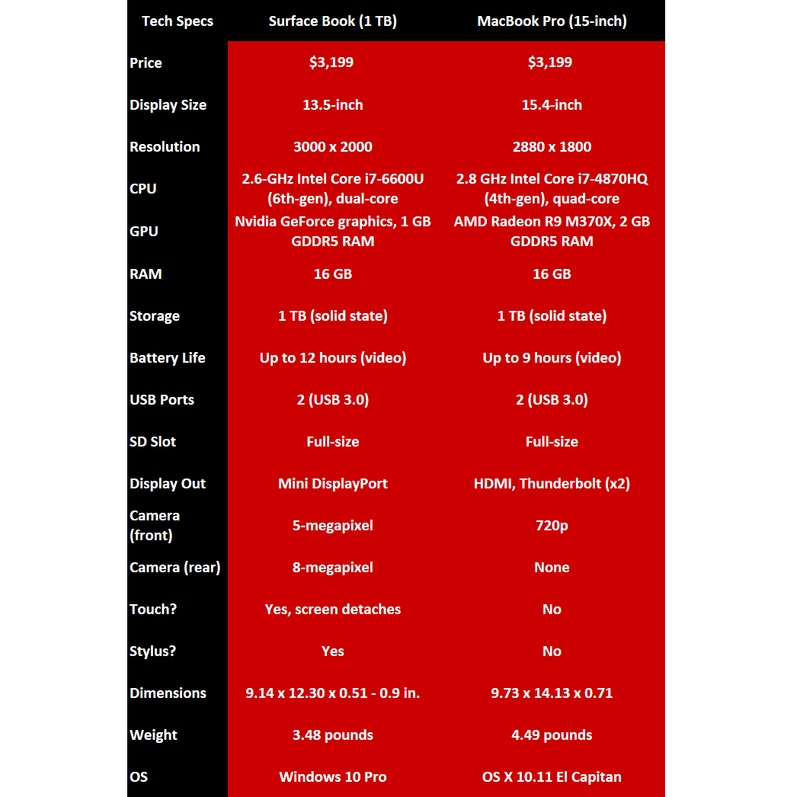 And specs aside, there’s still the issue of Windows 10 vs. OS X to consider. If your allegiance to either is strong enough, it’s hard to imagine any amount of hardware finesse that would compel a switch. 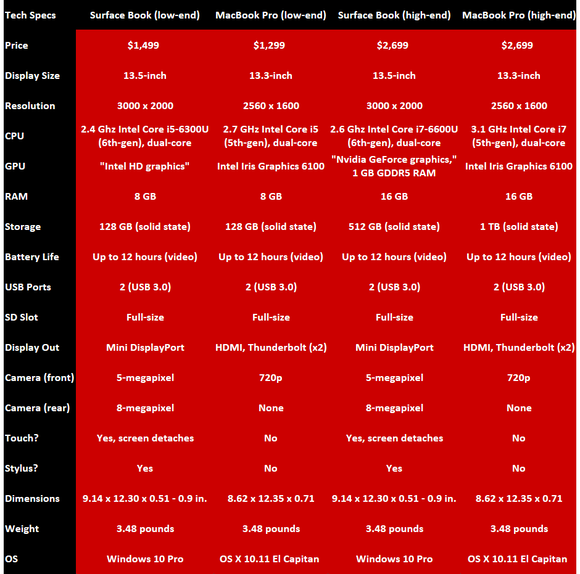 Surface Book vs. MacBook Pro, cheapest and most expensive models for 2015. Click to enlarge. 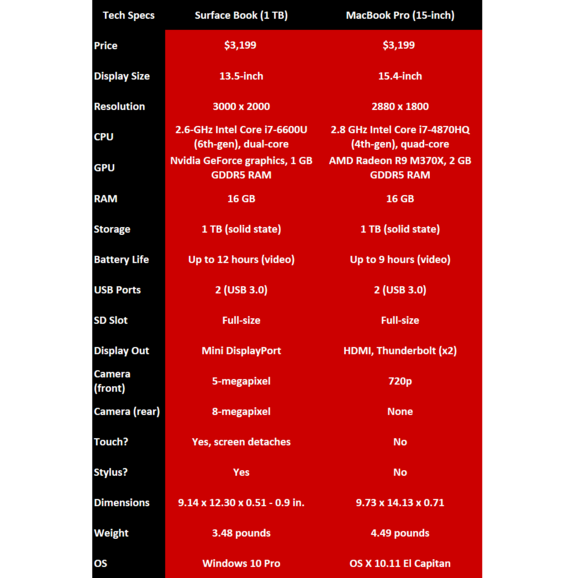 Surface Book with 1 TB of storage vs. fully-equipped 15-inch MacBook Pro. Click to enlarge. Editor's note: This article originally published on October 7, 2015, before being updated with additional information.